Jujubes make a tasty natural snack all by themselves. They can be eaten in the early ripening stages when the fruit has a yellowish-green shade to it or dried where the fruit has a more rich, red color. 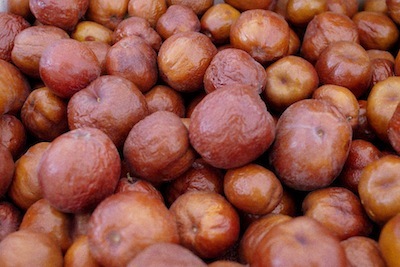 Jujubes are high in Vitamin C and have been used in teas and medicines for centuries. The fruits have a mildly sweet flavor and a snappy crunch, making them fun and snacky, without all the corn starch and high fructo factor of conventional snacks. Now in season at MCM from Twin Girls Farm! Ever hear the story about Little Jack Horner? Bet he’s never had plums like these before! The plums from Twin Girls Farm and Arata Farm are so ripe and juicy it’s hard to to see yourself walk away with more than a handful. But it doesn’t stop there! 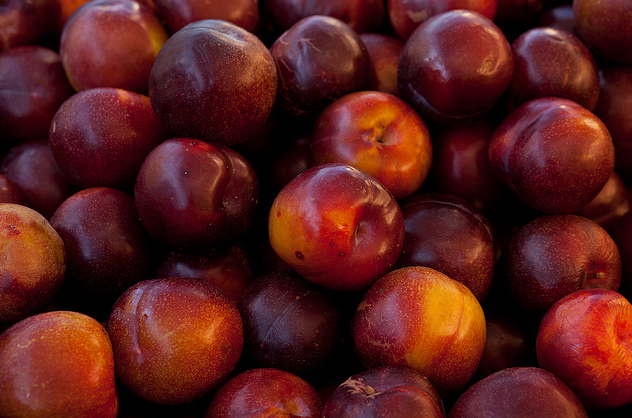 Twin Girls also has rich and delicious pluots, Thompson grapes, and nuts! 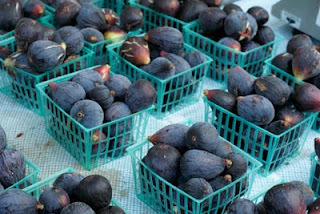 Arata is wrapping up their fig crop and will soon have persimmons! So whether it be a pie, pastry, or preserves, MCM has the goods you can really sink your thumbs into! Everyone might have been talking about the weather but yesterday was the perfect time to come out to the Market and get all the best local produce! We had peppers from Blue House, figs from Arata, plums from Twin Girls, and much more! Come have a look at our new Facebook album to get an idea of what you would like to pick up next week! It can all be seen Here! Plums, or Pluots from Twin Girls, and Almonds, from Twin Girls or Winter’s Fruit Tree, come together to make an easy and elegant dessert for your next dinner party. Try this delicious seasonal recipe brought to you by Mission Mercado! Preheat oven to 375. Combine the Almonds, Butter, and Sugar in a food processor until a thick paste forms, and then add Eggs. Add Flour and pulse just combined then scrape batter into a greased cake pan and rap against the counter to level out. 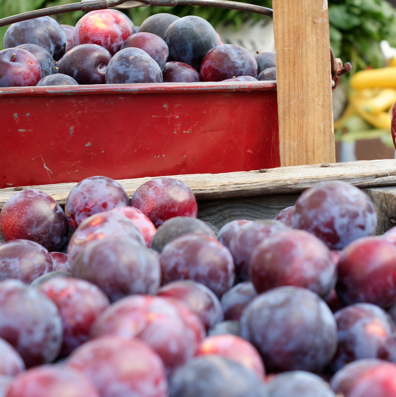 Slice Plums or Pluots into wedges and arrange decoratively on top. Bake for about 20 minutes or until a toothpick comes out clean and cake is nicely browned. Let cool before slicing, and maybe serve with some lightly sweetened whipped cream. Et voila!